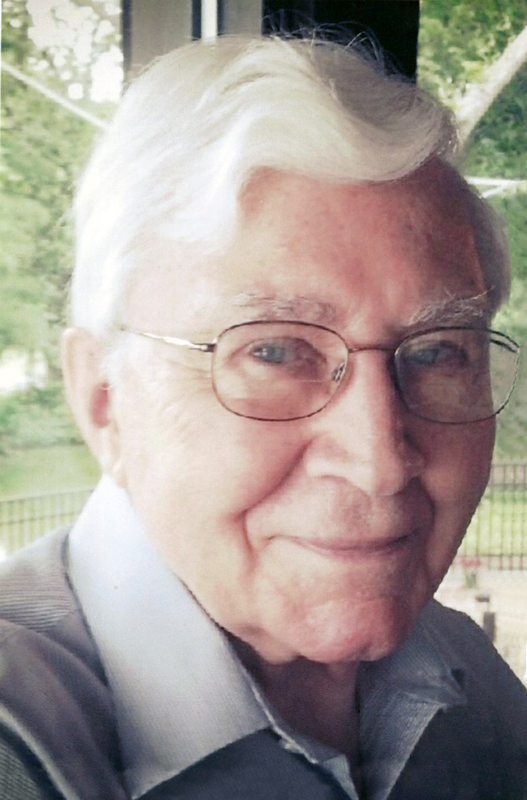 Obituary for F. Claus Globig | Langeland Family Funeral Homes, Inc.
Dr. F. Claus Globig, born April 9, 1928 in Stuttgart, Germany, died peacefully and without pain on November 28, 2018, at Rose Arbor Hospice in Kalamazoo, MI. His son and eldest child, Claus-Stefan, had the honor of seeing him the day before he passed, looking into his pale blue eyes while holding his hand and hearing "I love you," three times, as though the belief in God and the Holy Trinity were stronger than life itself. My girlfriend, Teresa Scholten, my sisters Susanne Globig and Isabel Neff, and my father's two grandchildren, Greg and Nicole Neff, along with Isabel's husband, Frederick Neff, were all able to visit with him in the days and weeks preceding his death. Susanne, living in San Francisco, spent two weeks with him and was able to bond with her father as never before. Claus was the third son of Florence and Rosa Globig, and while his father and two older brothers served with distinction and honor during WW1 and WW2, he was sixteen years old when he defended Berlin against the oncoming Russian army by engaging in anti-aircraft and other underground activities. After the war, Claus met the love of his life, Rose-Marie Kanter, born in Lugnitz, Germany, after she and her family had fled from the Russians in the eastern part of the country, now Poland. They completed high school and college together, Claus completed his doctoral degree in Chemical Engineering, and they wed in Darmstadt, Germany, on November 18, 1953. I was born in 1954, followed by Isabel and Susanne three and four years later. As first born, and with no child-raising course available, I was literally handled with surgical gloves. In 1959, this close-knit family of five embarked for the United States from Rotterdam on the S.S. Atlantic, where "Southern Fried Chicken" was a much sought-after and highlighted dinner main course. One of my first memories was rolling a grapefruit beneath the captain's dinner table and my father pulling me up, saying, in German, "There are better shoe polishes available, my son!" In any event, we arrived in New York City, stayed a few days with his brother's family, and then took the train to Hamilton, Ohio, where Claus had a research position waiting for him at Champion Paper Company. It was there where my father patiently taught me to ride a shiny blue bike, no training wheels necessary, as it was not the German way. After a year in Hamilton, Claus accepted an exciting offer from the Simpson Paper Company in Vicksburg, Michigan, at double his current salary, and our family happily moved to Kalamazoo. We lived in three different homes while our house was being constructed by renowned architect Norman F. Carver, and the main deviation from his plans was to have a sloped roof and not a flat one, as my father could not envision himself shoveling both the driveway and the roof. Claus worked for Simpson Paper Company, which grew to have thirteen pulp and paper plants throughout the United States, for thirty-five years with great dedication and distinction. Among other products, his team developed archival papers for artists and photocopy papers for Polaroid and Xerox. His esteemed position with Simpson enabled him and my mother to travel throughout the world, engaging in numerous adventures along the way. Both Claus and Rose-Marie were highly interested in and active in the arts, and he was President of the Kalamazoo Institute of Arts three years in a row. Their love for the eternal expressions and yearnings of all that is human was imbued in all three of their children. What has stood out for me, throughout the years, was how generous and selfless my father was. The relentless passion of putting his family first never lessened throughout the years, and his kindness also included, as a common occurrence, taking homeless people to lunch or dinner. Claus' love for Mozart was almost legendary, and his presence at the Kalamazoo Symphony was mandatory. He even loved his chamber-pot music! Claus was a realist, my mother was a dreamer - that is true but also an over-simplification. Teresa and I held a 65th Anniversary party for them and they were astonished by its beauty and the number of people that attended as they spent the evening laughing and talking with friends old and new. This party was just in time, as my dear mother died three months later on February 22, 2014, after many illnesses and a bout with pneumonia. My father was a hero for her, through many years of suffering, and that will never be forgotten. To find the essence of a man is not easy: it is too easy to say "he was this" or "he was that" and then end it all with "this is why." My father was an extraordinarily kind and generous man who took care of an ailing wife and provided for his children and grandchildren without remorse or regret. After my mother died, a sadness took over that was not visible before but finally surfaced; a sadness that was abated by music and being a naturally convivial and outgoing man-about-town. At the heart of it all, though, was that this alleviation of sadness was temporary, and who knows what thought-dreams really put him to sleep at night in a home he'd built and shared with his beloved for forty-seven years, always holding hands across their king-sized bed as they drifted off? The sadness that permeated his soul was, I think, born of a basic dissatisfaction that the world was not a better place for so many people and that even he, perhaps, never found the magical "something" we all aspire to discover in our journey through life. He did often state, however, that "my life has been fulfilled." A complex man, indeed. My father, so kind and beautiful and generous, lived in a world of many cruelties and sufferings he was ultimately unable to fix. He did not show affection easily, a by-product of his time and his upbringing, and for him to say "I love you," especially to another man and even to his son, was in the end remarkable, and as I looked into his cloudy, pale blue eyes one last time, his gaze never quivering, he said those words three times to me, as though he believed in the true strength of God and the unity that binds us all with the commonality of humaneness. At my father's request, he will be cremated and his ashes combined with his beloved's, to be strewn in the Atlantic Ocean, the waters they crossed fifty-nine years ago, at Singing Beach, MA, where Isabel and Frederick Neff live. Dr. F. Claus Globig is survived by his son, Claus-Stefan Globig and his girlfriend, Teresa Scholten, of Kalamazoo; his daughter Susanne Globig, of San Francisco; his daughter Dr. Isabel Neff and her husband, Dr. Frederick Neff, of Manchester-by-the-Sea, MA, and their children, Greg Neff, of Los Angeles, CA, and Nicole Neff, of Nashville, TN; and Dr. Harry-Max Kanter and his children Nils and Silke, who reside in Germany. birds in the forest, stripped of song. Dear Father, you shall forever be missed! Dr. F. Claus Globig, a long-time resident of Kalamazoo, Ml died peacefully on November 28, 2018 at Rose Arbor Hospice in Kalamazoo, Ml. He was 90 years old. He was the youngest of three sons born in Stuttgart, Germany to Florenz and Rosa (nee Hamann) Globig. He is pre-deceased by his parents and his brothers, Gunter and Herbert, and his beloved wife of 60 years, Rose-Marie, who passed in 2014. He is lovingly survived by his three children, Claus-Stefan Globig of Kalamazoo, Ml, Dr. Isabel Neff and her husband of 32 years, Dr. Frederick Neff of Manchester by-the-Sea, MA and Susanne Globig of San Francisco, CA and by his two beloved grandchildren, Nicole Neff of Nashville, TN and Gregory Neff of Redondo Beach, CA. He is also survived by extended family in the United States, Germany and Portugal. Claus Globig was raised and educated in Germany. He survived WWII, married the love of his life, Rose-Marie Kanter, earned his master's degree in chemical engineering and his doctorate in mechanical engineering from the Institute of Paper Technology at the Technical University of Darmstadt, Germany. He created several patents and with their sale, along with blood donations that bought their luggage, immigrated to America with his young family in 1959 to begin a new life. They soon settled in Kalamazoo, Ml where he worked until retirement in 1996 as the Director of Corporate Research and Development of Simpson Lee Paper Company, Vicksburg, Ml and as an International Consultant in Paper Science, Engineering and Technology. Throughout their lives, Claus and Rose-Marie dedicated themselves to raising and educating their children and helping shape the lives of their two grandchildren. They built a strong friendship circle, enjoyed tennis and gourmet group gatherings, traveled widely, and participated in the community via the arts and sciences. Music and literature were central to their lives and for three years, Claus served on the board of directors at the Kalamazoo Institute of Arts, helping to bring the Chihuly glass sculpture to the KIA entrance. He was also active in local and international organizations, such as TAPPI, the Paper Technology Foundation and the German/American Club of Kalamazoo and participated in local projects. He helped establish the Paper Pilot Program at Western Michigan University and tirelessly participated in the Kalamazoo River Watershed project. He was also an adamant supporter of making Western Michigan's Engineering campus a reality, from where his grandson earned his master's degree. For those who had the pleasure of knowing Claus Globig, he will be remembered as an intellectual who never stopped learning and sharing his knowledge and life experiences. His kind nature, generosity, compassion for others and a smile, laugh and humor that was all his own, will be forever missed. "Power to you" was a common phrase of support and there was not a person with whom he did not like to converse. He always extended his hand in greeting, because that is what a gentleman does; and what a gentle man he was. Mozart moved him to tears, chocolate was his indulgence, movies, plays and concerts were his preferred forms of entertainment, with the Northern cardinals being his favorite bird because they move in pairs; a romantic at heart. He truly lived a life fulfilled and though it was not an easy life, in the end he was at peace, knowing he had accomplished what fate set forth for him, in work, play, family and love. His presence in our lives was profound and so will be his absence but never gone or forgotten will be his connection with us. He is now reunited with his beloved wife, Rose-Marie, who has watched over him these last four years and patiently waited to feel his embrace once again. He rests in peace, with love from us all. The family expresses their utmost gratitude to the Rose Arbor Hospice staff for the love and care shown to Claus Globig and his family. In lieu of flowers, remembrances may be made to Hospice Care of Southwest Michigan and Western Michigan University's Engineering Scholarship Fund. Per Claus Globig's final wishes, there will be no public service but a celebration of life will be held at a later time.